Everyone was tired after a very long day at Disneyland the day before so this was always going to be a tough day. Ee eventually left our apartment at 11am and headed for the metro. 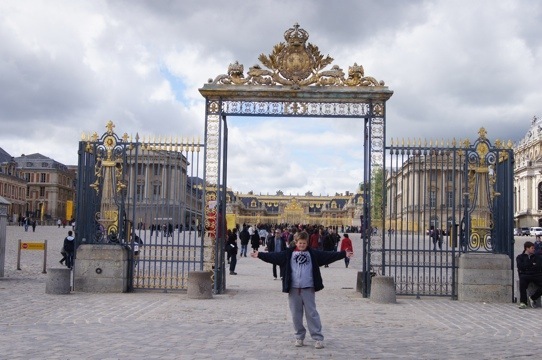 Versailles is technically outside of Paris so separate tickets needed to be bought since we were now on a regional line and leaving the metro. 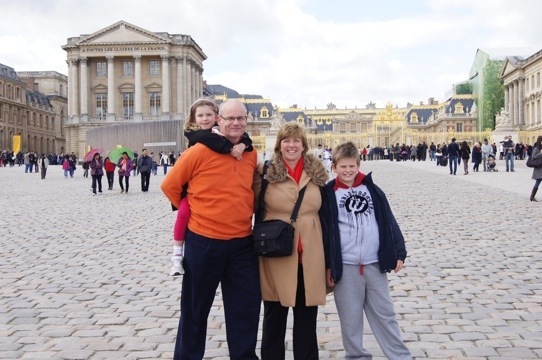 In any case it was not a long trip and we were in Versailles for lunch.Sophie was tired so Chris was carrying her. We found a crepery for lunch. Lunch was nothing remarkable but it did fill us up and we walked to the palace some 400 metros away with Sophie still on Chris’ back. 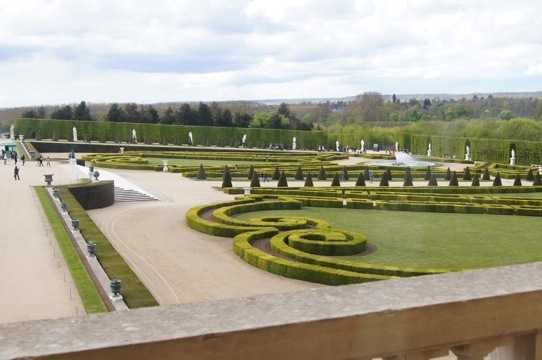 You could not mistake the palace of Versailles even from 300 metros away you can see the tilted gates and the palace on the hill behind it. The kids were pretty feral by now and as a result the visit was interesting but not much fun. There was an exhibition going on in the palace of the work of Lejeune. Who was Napoleon’s official artist. It is amazing to reflect on the fact that before photography that months would be spent painting a scene for posterity. The palace was of course amazingly beautiful. 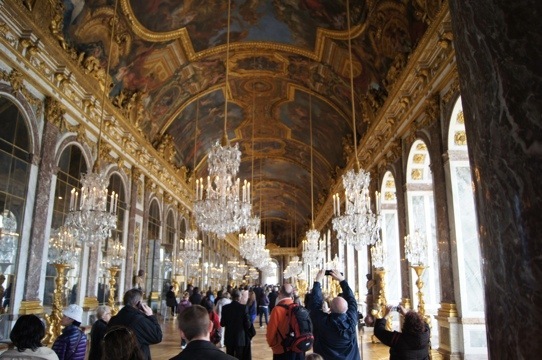 The hall of mirrors did not disappoint and it is awe inspiring to realize that this was built for a single person. The grounds are magnificent. It was raining and were feral so we settled for a couple of photos of the grounds from the palace but did not venture out for a walk.